Whenever I heard the word fast the first thing that always came to mind was food. Fasting always involved refraining from eating either a certain type of food or not eating food at all for a specific period of time. Fasting was done for a specific time frame or at certain times of the year. Did I ever seriously think I could or would fast from food? Probably not. I’ve learned, however, that we can fast from just about anything whether it is TV, food, internet, or even a hobby. I’ve known people who have fasted from TV for the Lenten season or who have an “electronics free” day or evening to focus on spending more family time. We live in a world where there is so much vying for our time and attention. Now there isn’t anything inherently wrong with being involved in sports, having a hobby, watching TV, surfing the internet, reading, cooking, etc. What causes the problem is when our attention and time is so caught up in something that it draws our focus away from God and what He may be trying to show us or reveal to us. The enemy uses anything within reach to capture our attention and then wants to see us get wrapped up in it enough that it takes us off target with our walk with God. Over a year ago when I started my healthy new me journey I made the decision to completely change the way I was eating and carefully watch what I chose to put in my body. I’ve shared through prior posts the health changes that I have experienced. It occurred to me not too long ago that what I actually have gone through over the course of the year was a fast of sorts. I initially removed food from my diet that was obviously unhealthy and through research and listening to my body’s response to the changes I continue to refine my food choices. I no longer desire the food choices I used to make. My body looks forward to the much healthier food choices I now make. But the most awesome thing about this fast from unhealthy food is that it has resulted in a fresh and increased hunger for more of God! I so desire to know Him more intimately; to walk where He is leading me; to say Yes to his promptings; to trust Him completely. 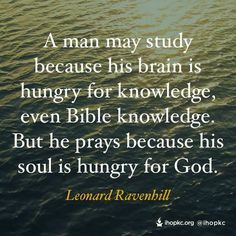 I am so hungry for His Word and for what I can learn from it. I am reading and learning about my spiritual growth and have seen things happen within me that I never knew were possible. I have discovered so much about myself, both good and not so good, and have learned so much. I’ve also found that many things of the world don’t hold the same interest they used too because I had let them have too much control in my life. Things such as food and yes, even television. There’s a line in a song that says “Break my heart for what breaks yours”. More than ever before I am more aware of the suffering that goes on in our world, or even in our own backyard. Honestly my heart hurts. I have a new hunger now. A hunger to do something; to make a difference. To be God’s hands and feet extended and serve others like I’ve never felt before. I want to do as much as I can as fast as I can and do it all for God’s glory. I am searching for where He wants me and am praying for eyes to be open wide to the opportunities He is leading me to. I am prepared to take whatever steps He needs me to take and learn what I need to learn in the process. I don’t feel that I am doing all I can presently to serve Him. I want to do more. So much more. I wasn’t expecting any of these internal changes to happen when my world turned upside down over a year ago. All I hoped for was to see my health improve and hopefully lose some weight and become more fit in the process. Boy has this been a journey and exceeded all my expectations! Not only do I have a healthier body but also a healthier spirit and a renewed hunger for God. The journey continues in all respects and I am looking forward to what God is going to do next.